Reading, writing and reviews by Jana and Kristen. Posted by kmcalear in Book Review, Critiquing, Literature. 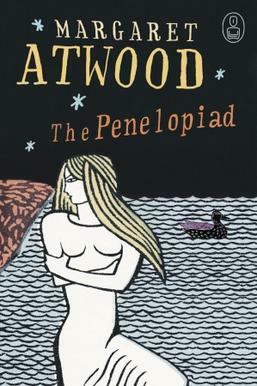 The Penelopiad by Margaret Atwood is a retelling of the Odyssey from Penelope’s point of view. Called by man a Feminist or sometimes just Feminine novel, it examines the famous characters from the Odyssey and gives the other perspective on one of the most famous women in literature. Atwood’s prose is what makes this novel so difficult to put down, you almost immediately step into Penelope’s head space and you forget that you already know the ending to the story. It’s refreshed beautifully, and the Odysseus/Penelope relationship isn’t idealized, but there’s something compelling about seeing another side of the story. And while the perspective is from Penelope in the 21st Century Hades looking back on the events, the book manages to avoid gross anachronism in characterizations. I particularly liked how Margaret Atwood rewrites the end, where Penelope in the Odyssey doesn’t recognize Odysseus, which never seemed to make sense in the Penelopiad her cunning is shown as she uses her wits to help him in turn. Penelope is as clever as Odysseus in this version of the myth. Now what I didn’t like is the last few chapters of the narrative, where the narration style becomes more poetic and the book more openly feminist and theoretical. It seemed after all the story to be preachy or to overstate the message of the book itself. “A song of ice and fire” book 5 released!